I provide web-design services including logo and graphic design. I focus on creating clean designs that are easy to use and understand. 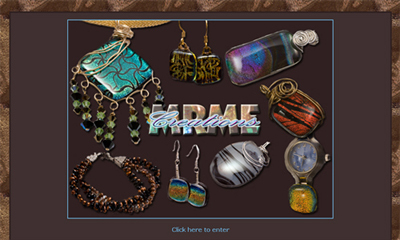 View some samples of my work and contact me if you would like to discuss your web-design needs. 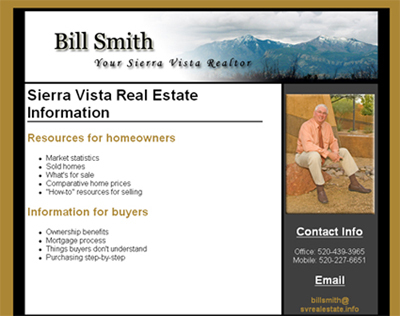 Bill Smith is a realtor in Sierra Vista, Arizona. His site has resources for both buyers and homeowners in the area. Becky Edmundson creates jewelry and other items from fused glass. She also does wire-wrap and beadwork.